August 9, 2017 - A young gray whale gave California beachgoers quite a sight when it swam close to shore. The whale probably wasn't lost—it's common for them to forage the ocean floor alone. 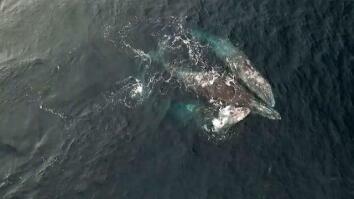 It's rare to see gray whales in California in the middle of August; most have already migrated north to feeding grounds near Alaska. 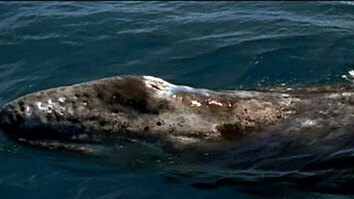 Gray whales undergo some of the longest migrations of any animal on Earth. One female was tracked traveling over 14,000 miles. Harbor authorities eventually coaxed the young whale away by using hoses to create loud splashes in the water. 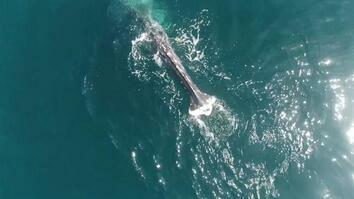 Click here to read Gray Whale Swims With Beachgoers In Incredible Aerial Video.